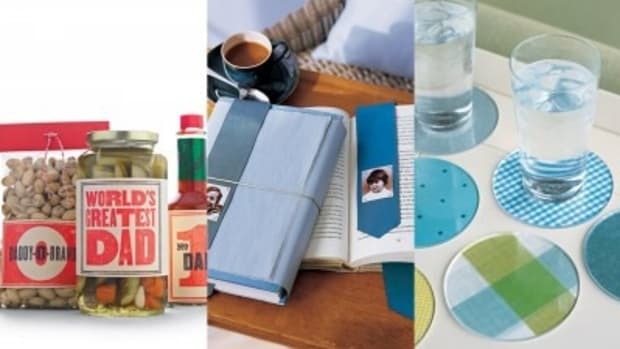 Father’s Day Coupons ~ I love gifts like this, because it keeps giving beyond the date received! 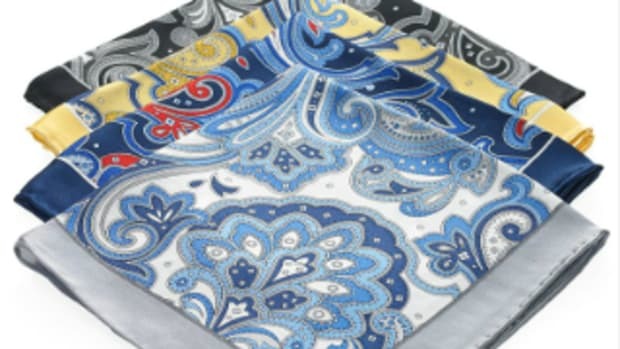 Love it…from Martha Stewart. 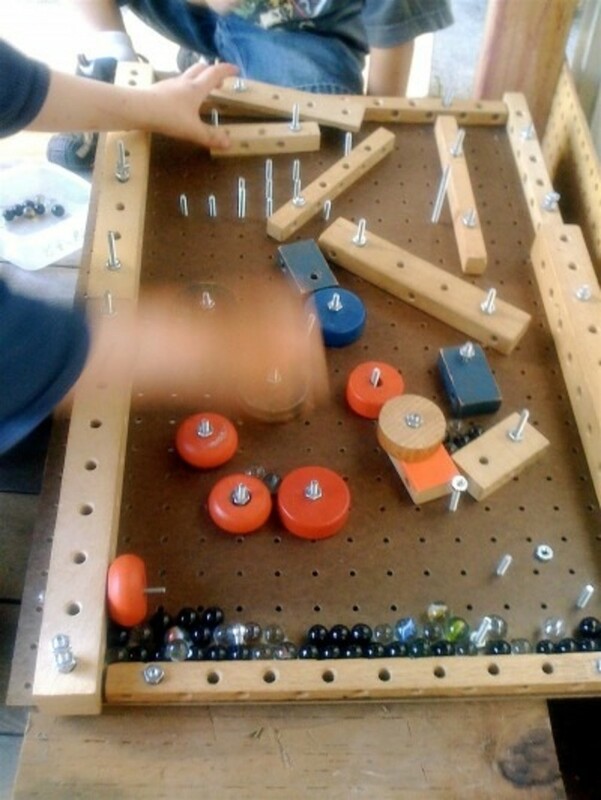 Homemade Pinball Machine ~ This is a great dad and me spend time together Father’s Day gift. 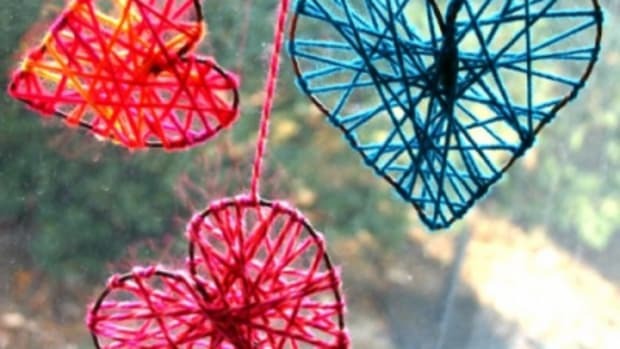 Love this idea from Teacher Tom’s Blog. 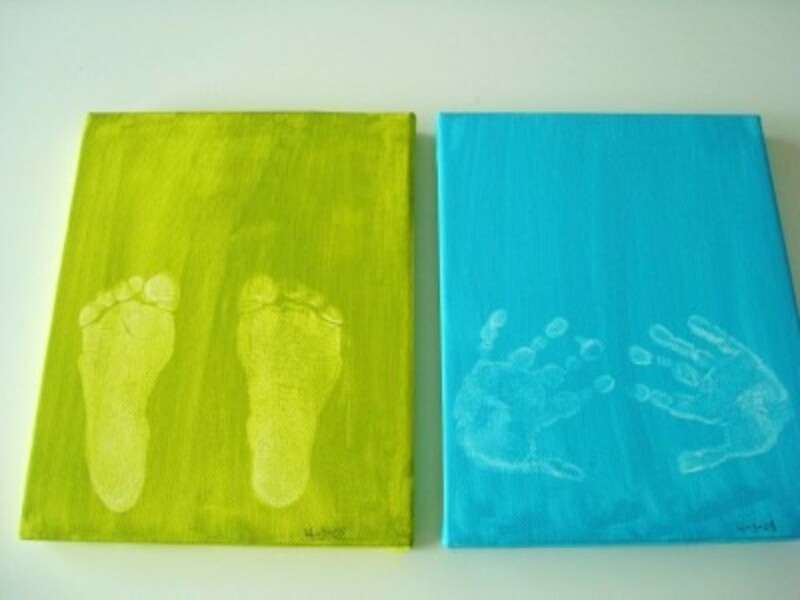 Finger Paint Wall Art ~ This is one of those precious gifts that dad can hang in his office. Thanks, Tutus & Turtles! 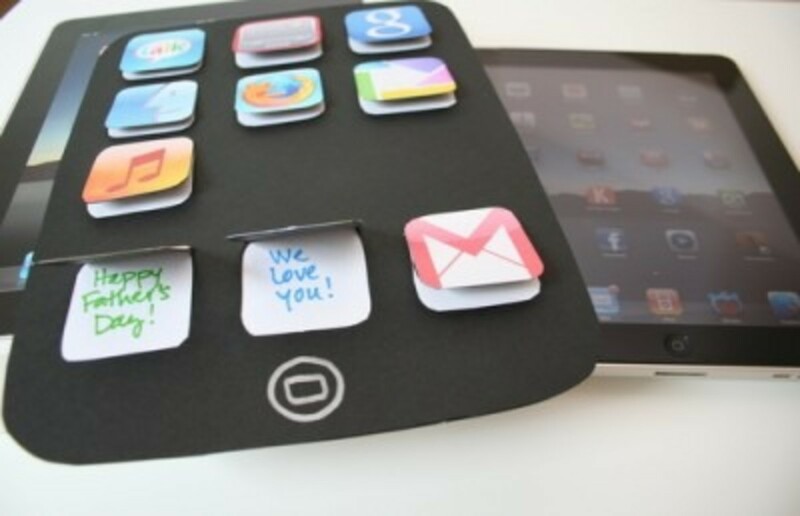 iDad card ~ With iPads, iPhones, and iPods all the rage, Charlotte’s Fancy takes you through the steps to make Dad his very own personalized iDad card! 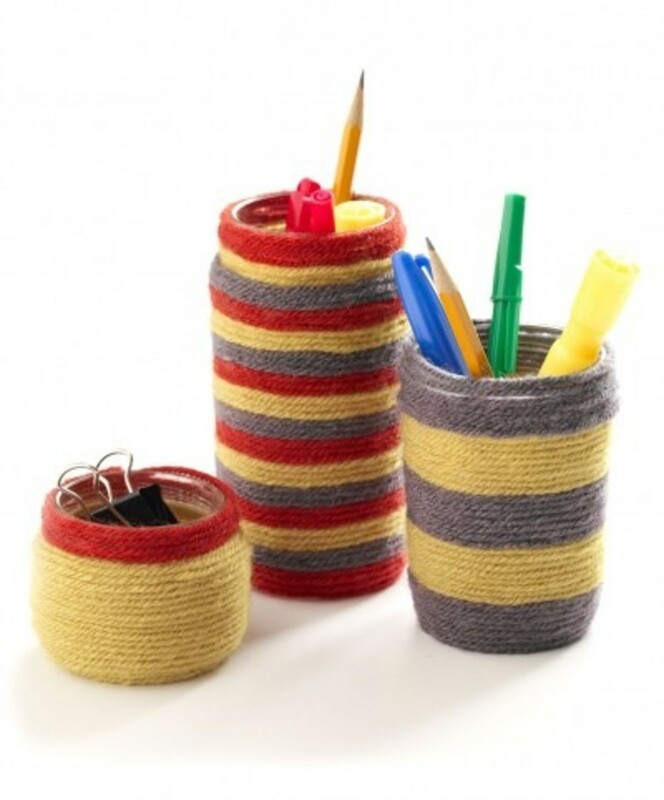 Yarn Pencil Cup ~ Recycle your glass jars and grab your extra yarn to make dad a pencil cup for his office. 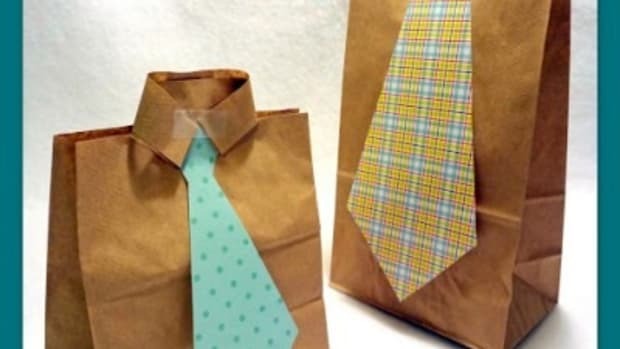 Great idea from Lion Brand. 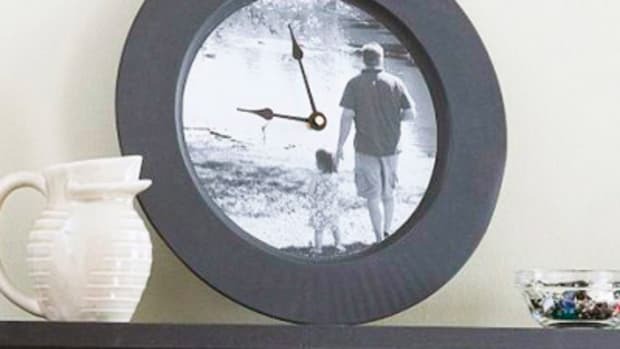 Silhouette For Dad ~ Such a beautiful idea from 4 Crazy Kings. 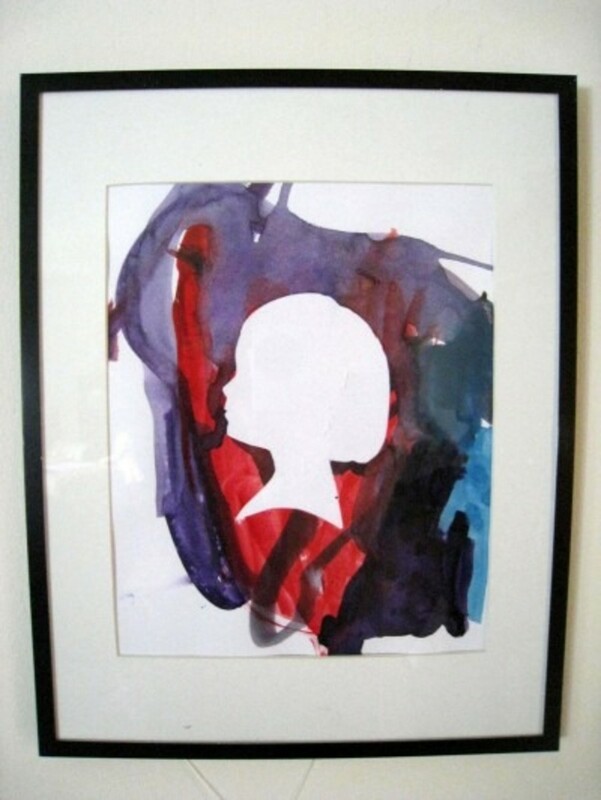 I absolutely love the kid’s touch to this gift! 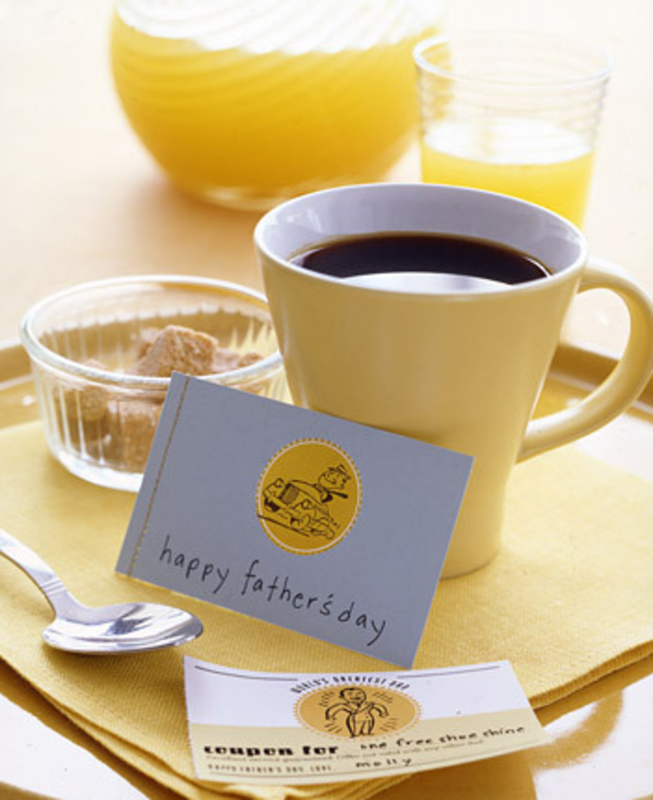 Father’s Day Notepad ~ Another great idea from Martha Stewart. Dad will smile every time he sees this sitting on his desk. 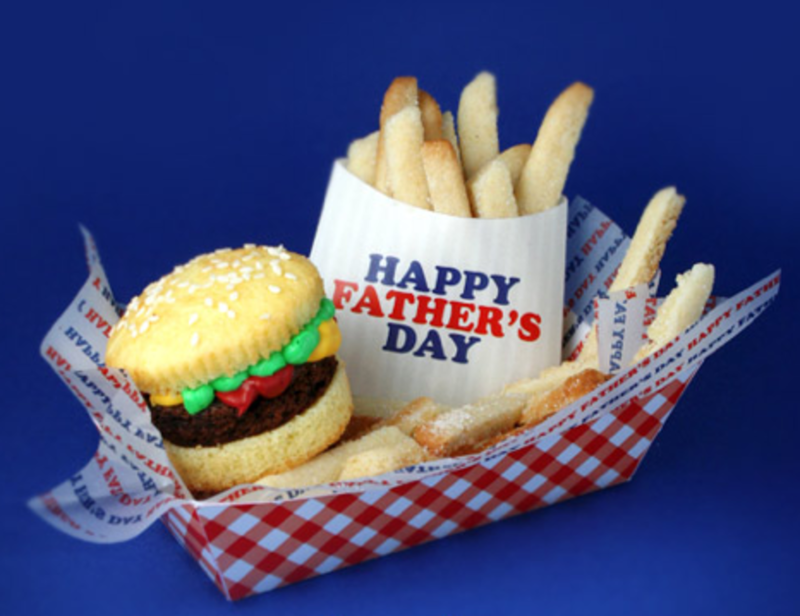 Fast Food Fun ~ If dad has a sweet tooth, this is perfect! Cupcakes, brownies, and cookies disguised as a fast food tray…this idea from Bakerella is genius! 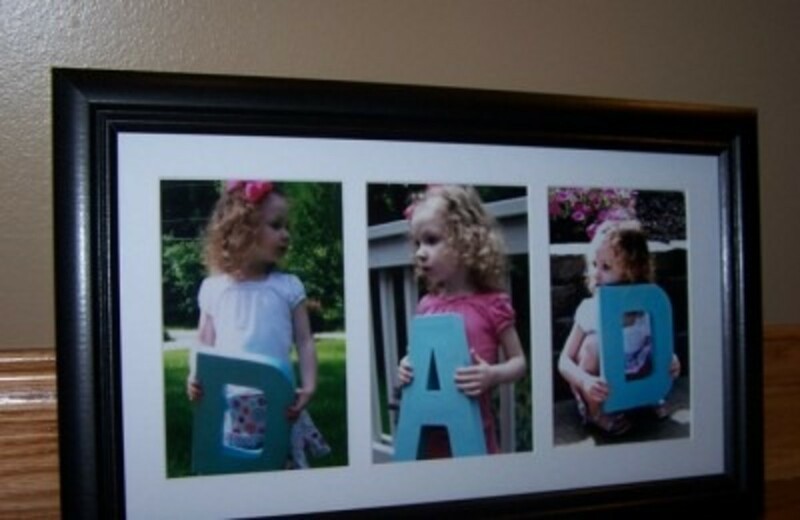 DAD Photos ~ I love the added touch of the kids holding the letters to spell Dad. 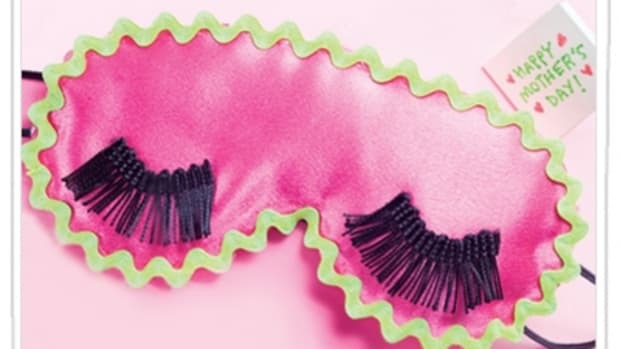 Perfect idea from Twinkle Toes. 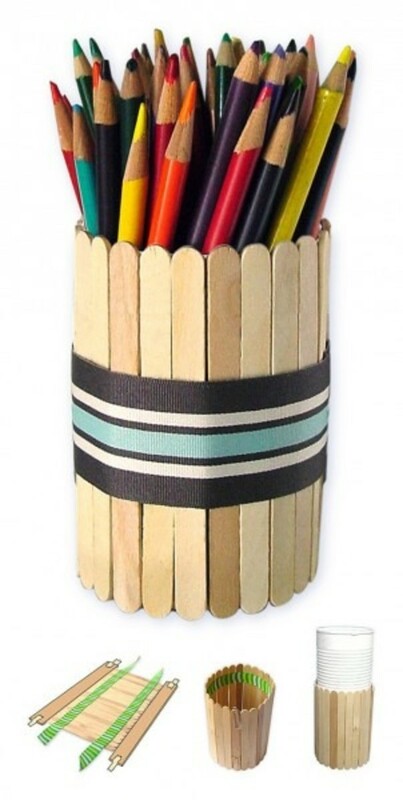 Popsicle Pencil Holder ~ Adorable pencil holder from Art Projects for Kids. 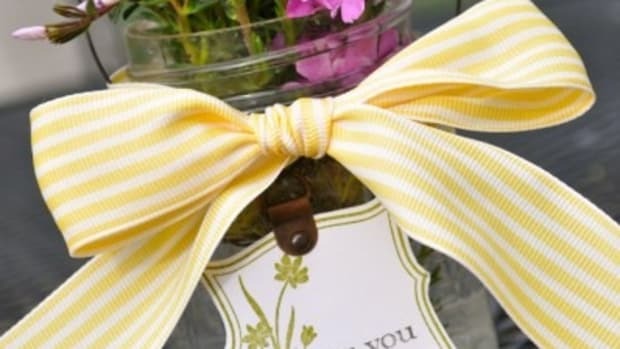 I love the ribbon around the outside. 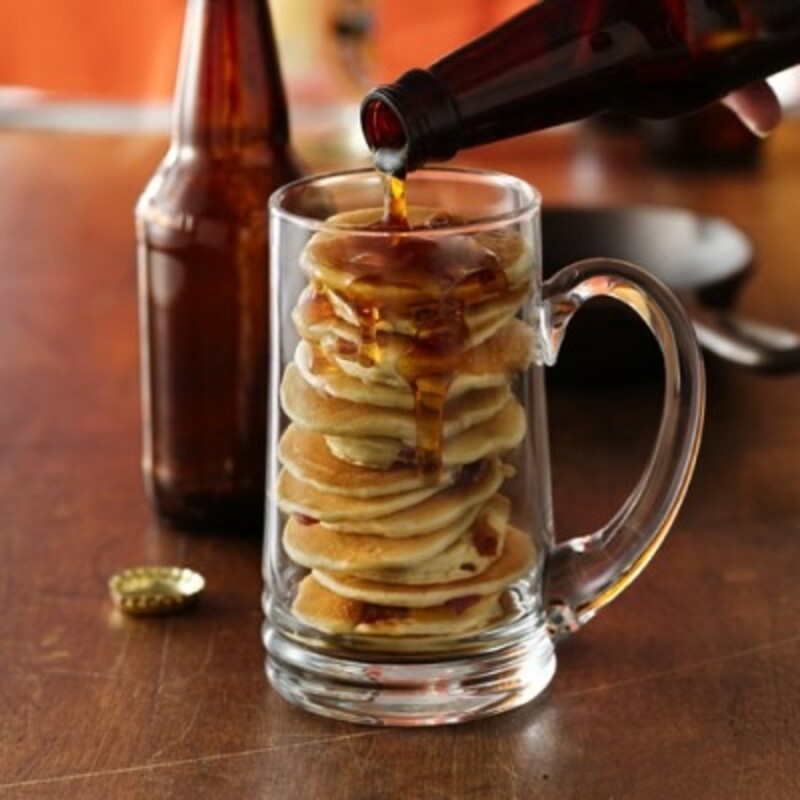 Beer and Bacon Mancakes ~ Bring dad breakfast in bed in style! 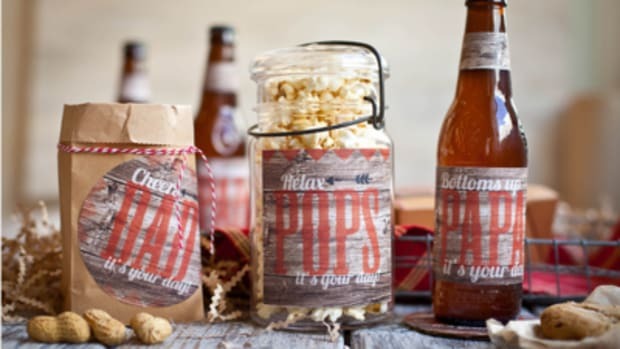 Fabulous idea from Tablespoon. 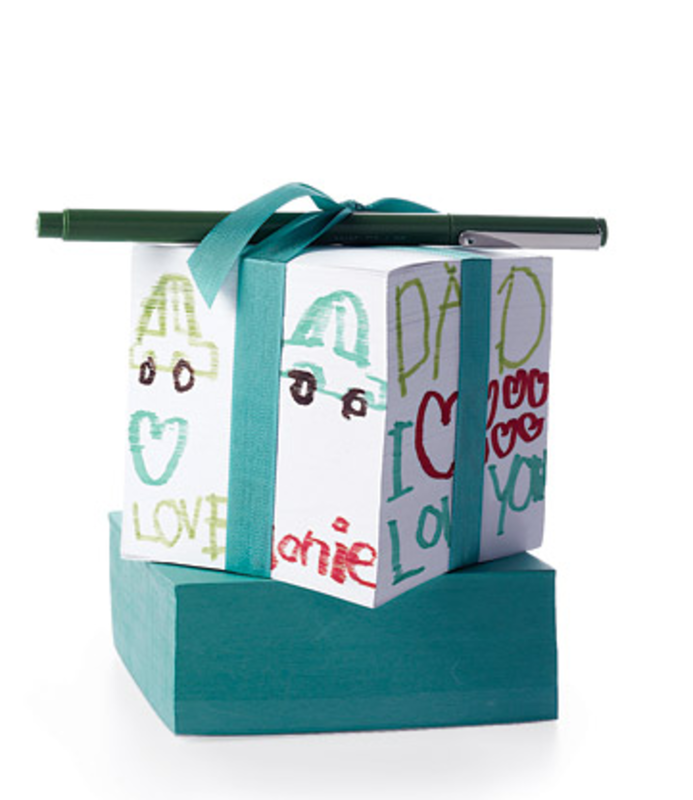 Have fun crafting and making the dads in your life feel loved! For more posts written by me, visit my personal blog, I Believe In Love.